Final Update of the 27th South East Asian Games 2013 Results. In this page for 2013 SEA GAMES Medal Tally and Standings or sea games 2013 medal tally and the complete overall tally for medal standings of gold, silver, and bronze for countries competing like host-country Myanmar, Philippines, Singapore, Indonesia, Vietnam, Thailand, Malaysia, Cambodia, Laos, Brunei, and Timor-Leste for 27th South East Asian Games. The Medal Tally for 2013 SEA games has just been started and partially tallied the number of medals in each country and as of this writing, the host country Myanmar is on its top place. If you could see the medal tally of each country joining the 2013 SEA Games, the top 4 countries like Myanmar, Vietnam, Indonesia, and Thailand were in the pinnacle of having the high number of golds. It means, in anytime, this top 4 countries would lead in the first place in a glitch number of gold medals in them completely. Myanmar will award total 1557 medals; 460 golds, 460 silvers and 637 bronzes to athletes. Athletics will award 46 gold medals with maximum ones in this year SEA Games results. This is the latest updates and information in real time for the Medal Tally SEA Games 2013. Previous 26th South East Asian games was held in Indonesia. A showcase of arts and culture about the history of the people of Myanmar was made, with dance performances accompanied the ending of the ceremony. "Fireworks displays was made upon the entrance of President Thein Sein into the stadium. The theme song, "Colourful Garden" was performed during the flag-raising ceremony after performances made by 12,000 school children and the Myanmar Royal Auspicious Orchestra. Followed up a speech by Tint San, chairman of the 27th SEA Games Organizing Committee, Vice President Nyan Tun declared the Games open with another explosion of colorful fireworks that lit up the night. Torch relay was passed through the hands of six former Myanmar athletes before Aye Myint Kyu, the Union Minister for Culture, handed it to Myanmar's archer Wai Lin Tun where he lit up the Games cauldron by shooting an arrow into it.According to wikipedia, "The opening ceremony was held on 11 December 2013 at the Wunna Theikdi Stadium. It marked the nation's biggest sporting event hosted since 1969. It was lead with pre-launch entertainment and a series of screens beamed a dramatic lights show during the Chinese-backed extravaganza. Our country Philippines as of now in the standings is on the 8th place in the Southeast Asian Games its gold medal in swimming was stripped out by the organizers due to the protest by Thailand. The top placer to the last placer are host-country Myanmar, Vietnam, Indonesia, Thailand, Malaysia, Singapore, Cambodia, Philippines, Laos, Brunei, Timor-Leste. Currently the host country Myanmar is on its first place as expected but this is not guarantee that Myanmar will be able to hold the top spot since the game is just started. Myanmar 26 golds, 25 silver, and 20 bronze - a total of 71 medals gathered. 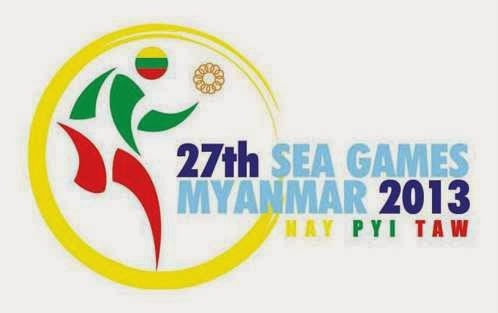 Note that this post is for the South East Asian Games in Myanmar Medal Tally 2013, the complete results and winner of the SEA GAMES 2013, who wins the sea games 2013 in Myanmar, standings and tally of medal results 2013 sea games, live results of sea games 2013, live updates sea games medal tally 2013, December 2013 sea games,final standings of SEA GAMES 2013 live updates and results. Related Searches: overall final sea games medal tally latest updates, 27th sea games, over all medal medal table, medal taly in southeast asian games, sea games 2013 standing, 27 sea games medal tally, sea games medal standing, overall medal tally sea games golds silver bronze, medal sea games 2013, result of sea games 2013 philippine team, medal tally, latest medal tally ASIAN games Indonesia, sea games 2013 medal tally 22 november team philippines, 2013 SEA Games Medal Standings (Medal Tally), current updates medal tally standing of sea games 2013 latest gold silver medal, indonesia top 1 medal tally,official tally of medal on 27th as of today, 27th sea games official homepage.